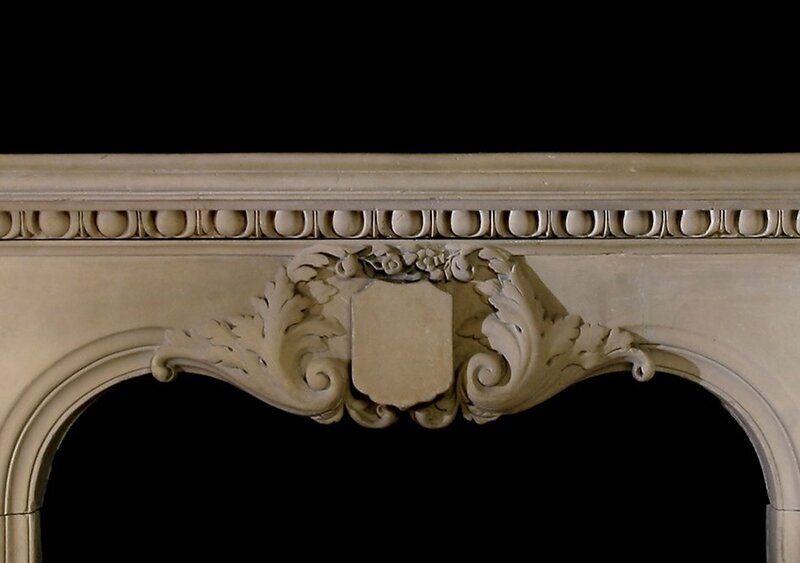 An early and unusual early Victorian c 1840 carved stone chimneypiece. 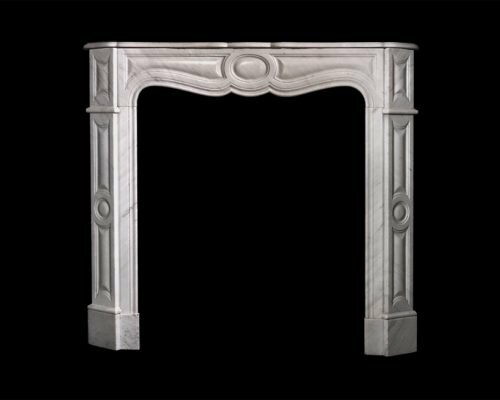 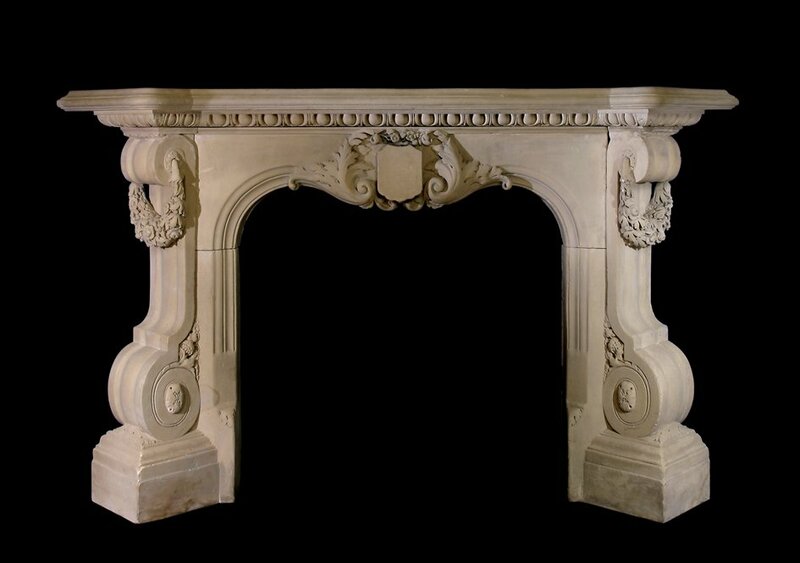 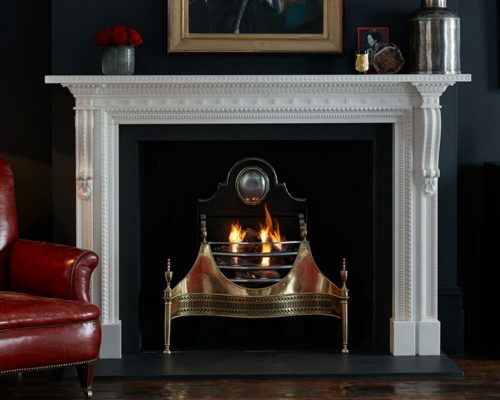 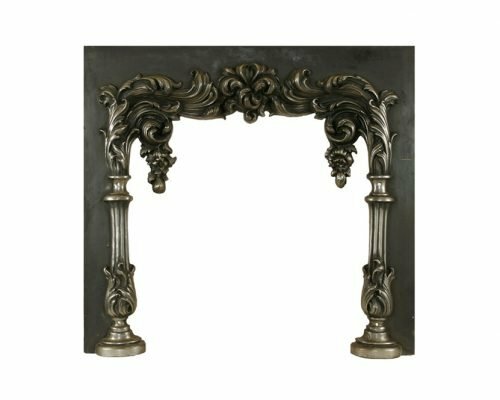 The chimneypiece has strong consol jambs with carved floral wreaths, plain heraldic plaque and acanthus leaf detail across a serpentine frieze. 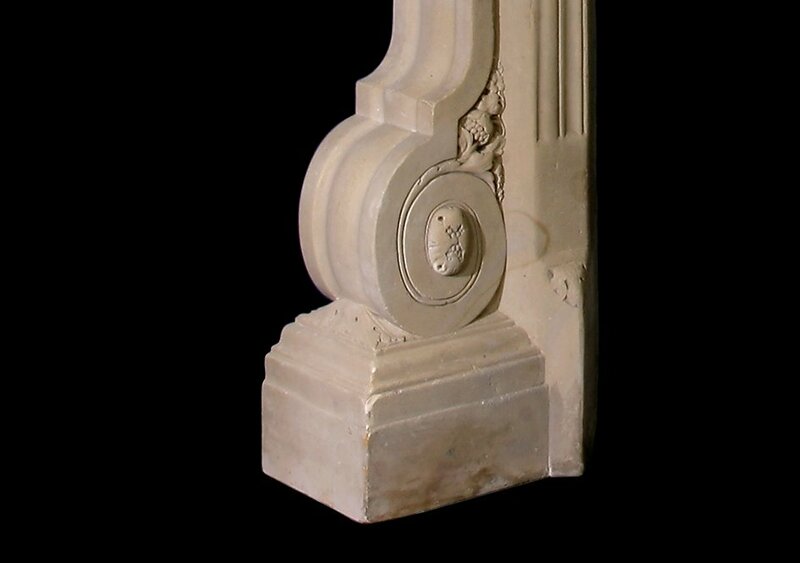 Designed in 1775 for William Locke Esq., for 21 Portman Square, London, a property built by the Adam brothers three years earlier.